Our Church is governed and supported by the Diocese of St Edmundsbury and Ipswich. The Church Parochial Church Council (PCC) manages our Church locally and they report to the Diocese which has overall responsibility for the running of the Church. The Diocese appoints our incumbent, advises on the fabric of the Church through the Diocese Advisory Committee (DAC) and generally ensures the Church is functioning properly. The Diocese publishes a weekly newsletter which is circulated via email. Anyone can subscribe to this by clicking here. the latest and past versions of the Newslwetter can also be found via this link. The Diocese covers the whiole of Suffolk and all Parish Churches are governed by it. Bishop Martin Sealey (above) has overall responsibility for the running of the Diocese. The Diocese itself is divided into two Archdeaconary areas, Sudbury and Suffolk, and Campsea Ashe falls into the Suffolk Archdeaconry. 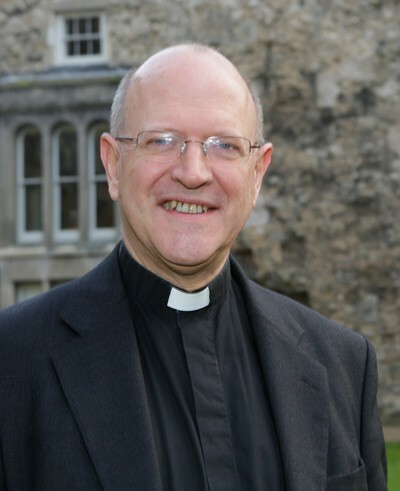 The Ven Ian Morgan is our Archdeacon and is based at Marlesford. The Archdeaconaries are further sub-divided into Deaneries of which our Parish is in the Loes Deanery. The Rev Mark Saunders is the Rural Dean with responsibilty for Loes. The next sub-divison is into Benefices and we are in the newly formed Orebeck Benefice, along with the Parishes of Brandeston, Easton, Hacheston, Kettleburgh, Marlesford and Parham. Once each month at least all seven Churches combine for a Benefice service hosted at local Churches on a rotational basis. The Benefice normally has a Priest in Charge appointed, but currently there is no incumbent in place for the Benefice following the retirement of our previous Priest in Charge. Finally, our Parish of Campsea Ashe is managed by our own PCC. Further information about our PCC can be found here.